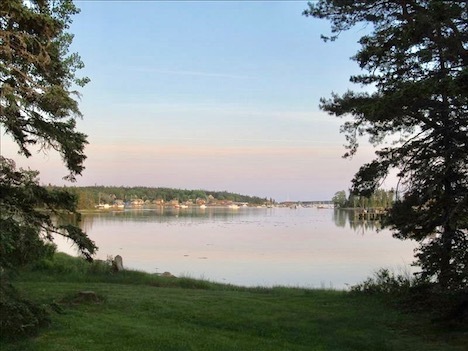 DESCRIPTION: Private shore front chalet with 200' of shore frontage, and direct views toward the mouth of Bass Harbor. 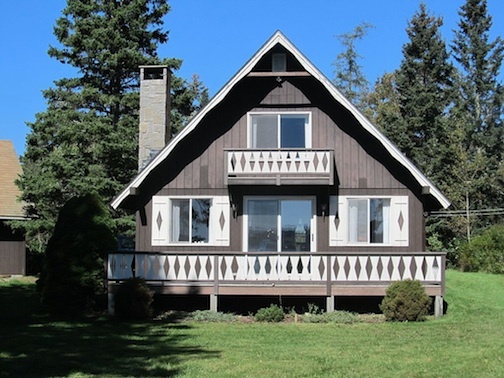 Comfortable cottage with wood stove and cable tv. Great location for rowing, canoing or just relaxing. LAYOUT: FIRST LEVEL: Living room with access to deck overlooking water, kitchen/dining area, bathroom with shower only, and a den with futon. SECOND LEVEL: One bedroom with a queen bed and harbor views, and another bedroom with 2 twin beds.